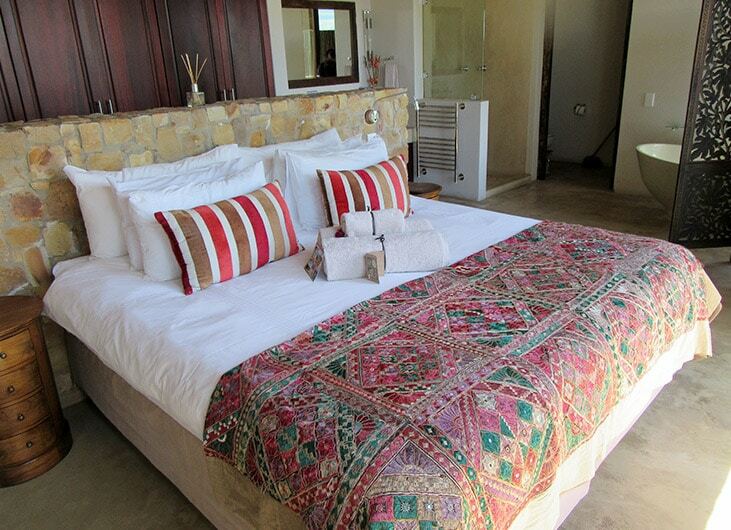 Tamodi is an exquisitely designed typically African lodge overlooking the thickly wooded valleys of The Crags. 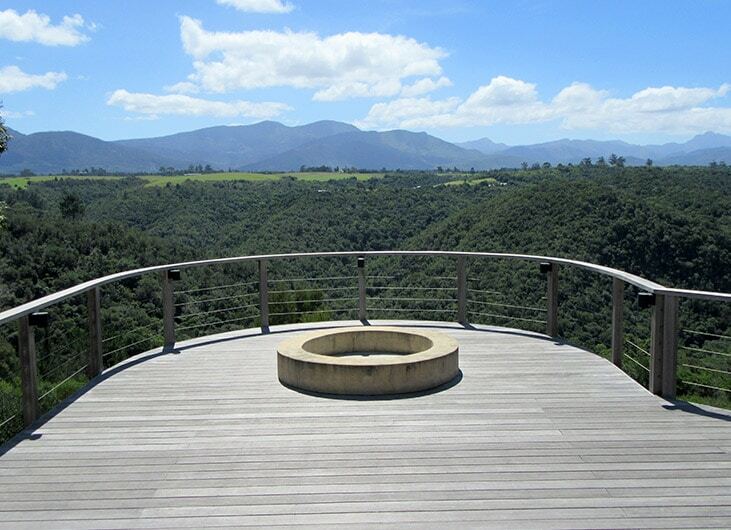 The lodge is 15 minutes’ drive from the center of Plettenberg Bay. The lodge has just four rooms and suites, Each room and suite has wonderful views and access to the extensive balcony with infinity pool. 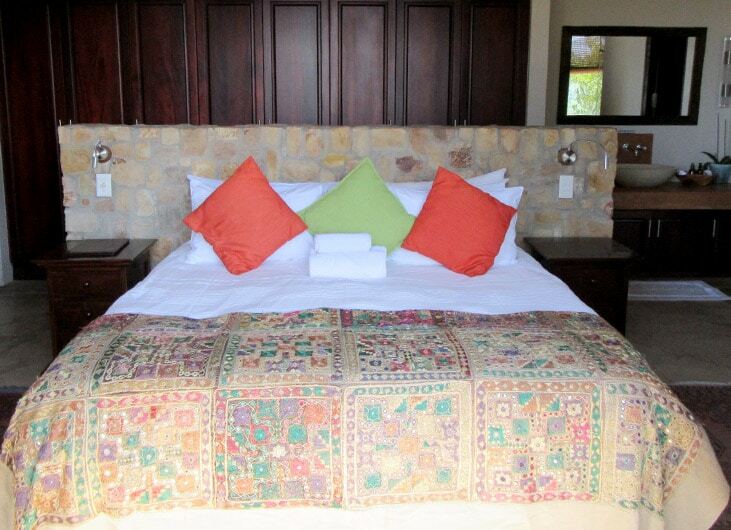 Each room has a distinctly African feel with comfortable beds and over-sized bathrooms – some with private outside showers. Underfloor heating is provided for those chilly winter nights. 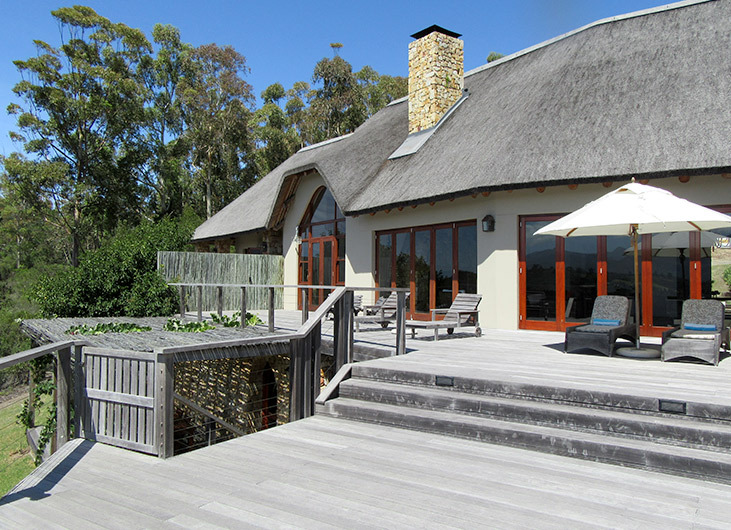 Tamodi has two large lounges with three massive log fireplaces to make your stay cozy even during the winter months. Sumptuous breakfasts are provided. Tamodi is for nature lovers! 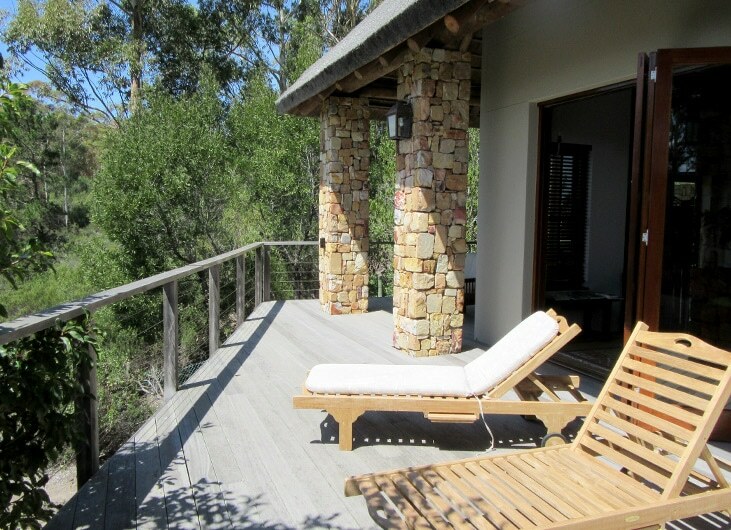 You will enjoy the quiet solitude of the African bush with the occasional sightings of baboons and vervet monkeys. This is a great location for bird watching. 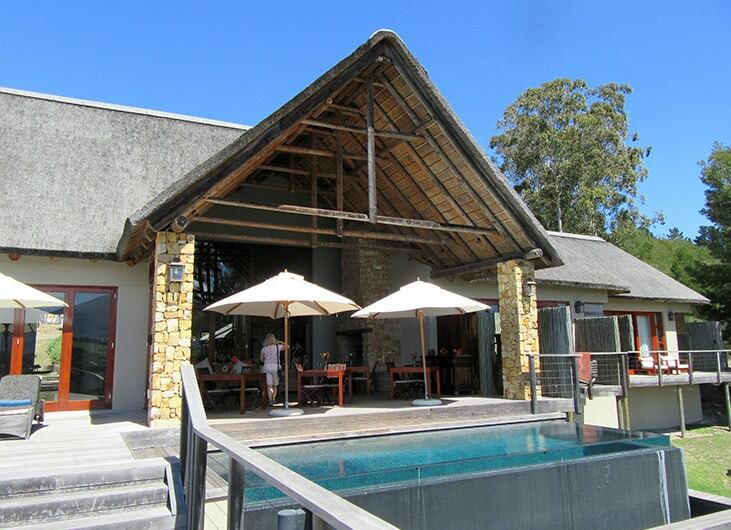 Tamodi Lodge is located 7 minutes drive from the main N2 highway in the midst of the forest. Keurboomstrand with its spectacular beach scenery and renowned beach restaurant Enrico’s is just a short 10 minute drive. Guests wishing to enjoy horse riding will not be disappointed as Tamodi is also an equestrian center. The fascinating animal parks in The Crags are within a 10 minute drive. These parks enable you to get close to small cats, birds, elephants, monkeys and, yes, even snakes! The highest bungy jump in the world is a 30 minute drive and the Tsitsikamma National Park is 45 minutes away. You will enjoy a walk on the beach at Nature’s Valley which is one of the most unspoiled locations along The Garden Route. The Plettenberg Bay wine route is close by and a hike on the spectacular Robberg Peninsula Nature Reserve is just a 20 minute drive.